The most trending Pageant in the East ofthe Niger, Asaigbo Beauty Pageant,is almost set for the long anticipated Grand- Finale of her Miss Asaigbo 2017. Here’s another new skit from Mark Angel Comedy titled WHO IS YOUR PASTOR. 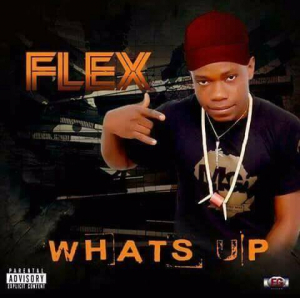 Nsukka upcoming rapper, Flex is Here again with a very hot freestyle WHATSUP. He pounced on the beat & murdered it as usual. Do you know that a lot of people secretly have been packing a huge sum of Naira into their pockets via weekly updates on Dex’s Blog Tips for Soccer Lovers (pool)??? with the on going promo of “make my people smile” on weekly basis, Dex’s Blog has officially spotted out a unique number for soccer/pool lovers…and now asking you “would you miss no20?? ?” Have a lovely weekend and dont fail to visit our side bar by 13:00 CAT tomorrow for the fun continuation. Dex’s Blog promised its subscribers, that every saturday by 13:00 CAT will surely be a smilling day for those who got passion for football and lovers of pool. Dex’s Blog has provision of local and international tipsters who will not dissapoint in displaying unique numbers that will be atleast make you smile when you check the score board. Are you still in the University? or you’ve passed out? Are you studying? or studied any science, engineering,or art related courses,precisely,in any of the Universities in the East side of Nigeria.